Enjoy worry-free driving with Nissan Extended Service Plans. Service, benefits, and protection will help you enjoy peace of mind. Nissan Security+Plus® Vehicle Protection Plans provide quality vehicle service and protection by Nissan-trained technicians for your new or pre-owned Nissan. 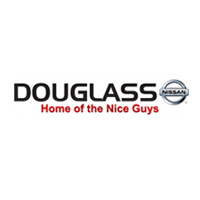 You can purchase the right Security+Plus® plan for your vehicle that has a Nissan factory warranty at any time within the first 3 years or 36,000 miles of your vehicle’s original in-service date. However, you will get the most out of Nissan Security+Plus® by selecting a plan early. All Nissan Security+Plus® plans offer transferable coverage, your choice of deductible and flexible financing options. A brief summary of each plan appears below. For more detailed information on each plan, click on the links below.